With the growing popularity of “tiny houses” with their own television shows, many people are thinking about how downsizing can free them for enjoying activities other than cleaning a regular size home. Whether you have a small condo that needs better space planning to make the best use of every inch, or find that your regular size kitchen is in chaos, careful planning can improve your everyday life. 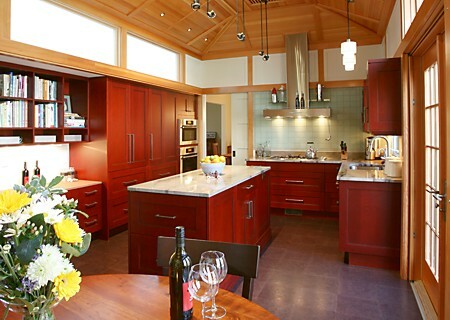 One of our favorite contributors to the Kitchen Views blog recently retired, but her wisdom regarding good kitchen design is timeless. So we are sharing again her perspective on making the most of limited space. After turning a corner in life, I find myself living with a teeny, tiny kitchen. It’s a U-shape space. The working triangle is about 9 feet total, no more than 3 feet between the sink and the range to the left and the sink and the refrigerator to the right and just about 3 feet between the range and refrigerator across from each other. I can stand in the center of the room and reach all three without moving my feet. I pretty much don’t even have to lean. Very tight. 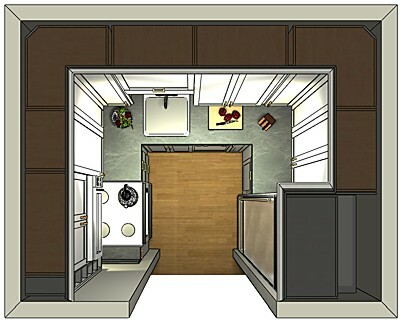 At first I couldn’t imagine being able to create anything in this “Easy Bake” kitchen that would be worth serving. But, a girl’s gotta eat, and take-out gets old pretty quick. Once I started putting stuff away I was amazed at just how much storage this little kitchen had. And then I started cooking. Everything I needed was within arm’s length. Prep time was so much faster, not having to schlep across the room for the pepper mill that, in my old kitchen, I would leave way over by the sink. Also, I’m much neater. I don’t have the luxury of moving around the kitchen leaving a messy trail behind me. I clean as I go, making the final clean up a breeze! 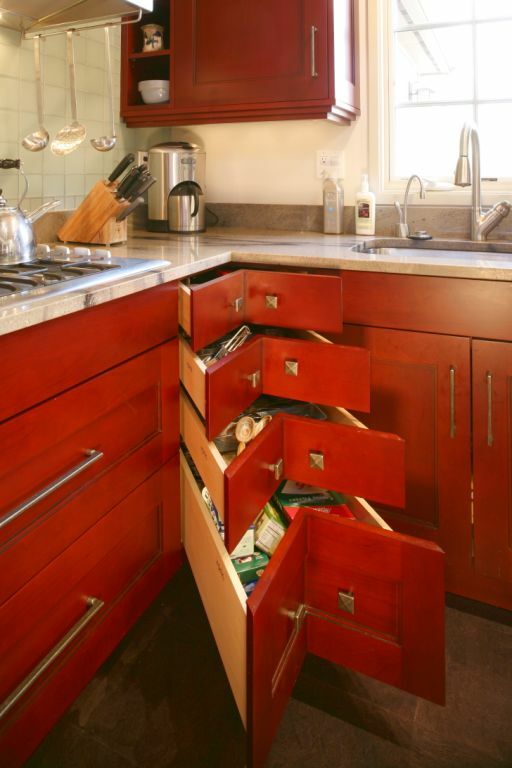 There are so many great kitchen storage options available from all of the quality cabinetry brands we sell. Stacked wall cabinets maximize every vertical inch. 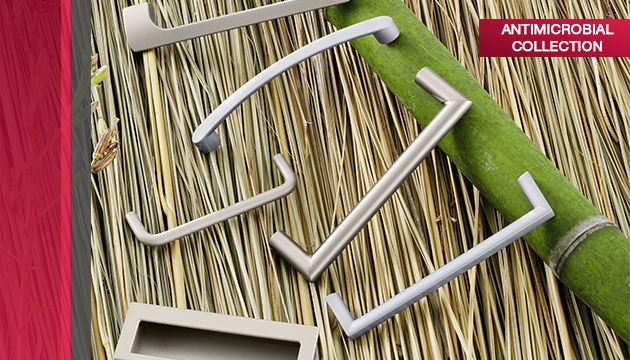 Carefully planned base cabinet configurations and storage accessories make the best use of every nook and cranny.